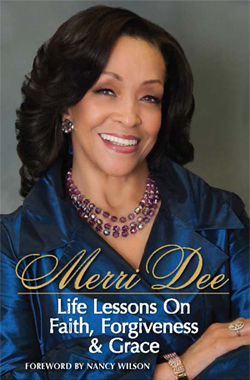 Merri Dee, legendary TV and radio personality, shares insightful lessons she has learned throughout her life in this powerful memoir. With unflinching honesty, she takes you from her humble upbringing on Chicago's South Side, to her rise to the top as one of the most trusted names in media, philanthropy and advocacy. In vivid and heartbreaking detail, Merri Dee reveals the pain of losing her mother at a very young age and the horror of living with a cruel stepmother who constantly tortured her. Even as an adult, she was the victim of domestic violence perpetrated by her boyfriend-a famous R&B singer-who physically and verbally abused her during their rocky relationship. She celebrates her miraculous recovery after she was kidnapped, shot in the head and left to die. That tragic moment inspired her to live her life with even more purpose. Through all of the pain and calamity of her tumultuous past, Merri Dee found inner-strength through her unwavering .